We recently changed out our kids toilet from a little Gerber Peewee Children's toilet and I had to make it more fun for them and address a little problem that boys seem to have. 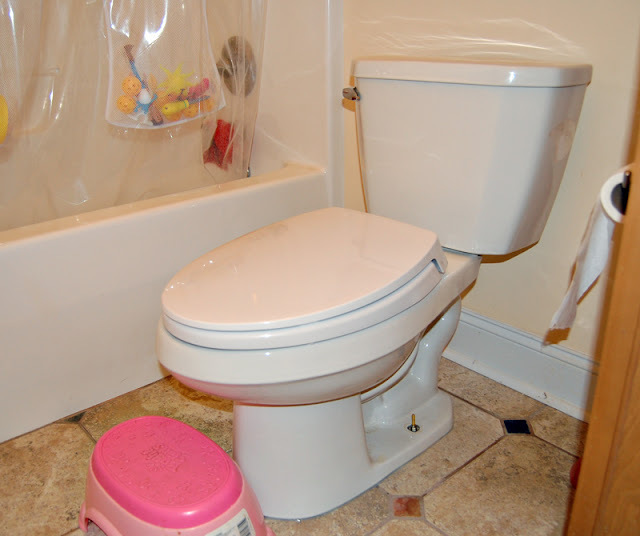 We originally had a normal size toilet in the kid's bathroom and switched to the Gerber PeeWee toilet to help the kids get potty trained (LilMan didn't want help but at the time couldn't get on the toilet himself). 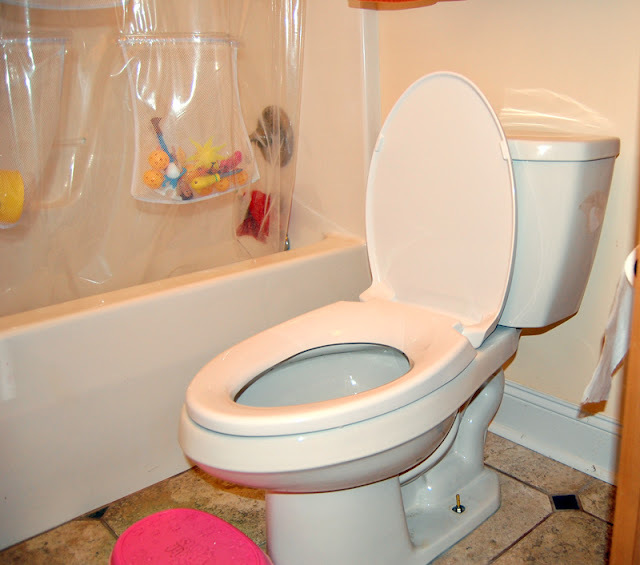 But now, it's time to say goodbye to an awesome children's toilet and make a Big potty work for our little people. The big boy and girl potty was easily installed (Ben did that :) ). Our LilMan doesn't need the step stool, but Em still does. LilMan, however, needs a guidance system to help him get the pee into the toilet. [pinit] I installed the guidance system: Thanks again to my Silhouette CAMEO !!! 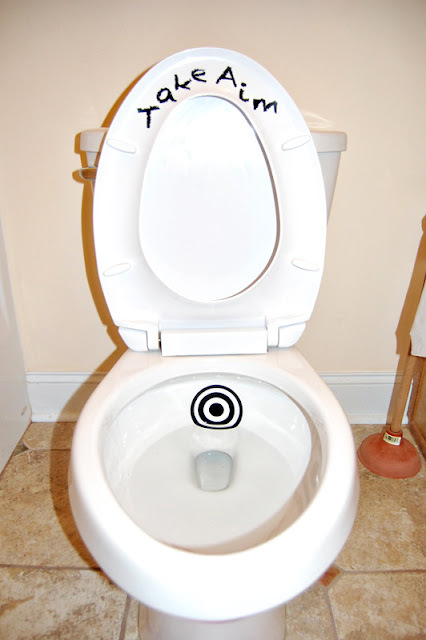 I made a bullseye and a decal that says "Take Aim". (My husband loved the "take aim"). Download this Fun Silhouette Toilet decal! I couldn't help myself, I made a Pinterest board to start collecting all the fun things to do with a Silhouette. :) If you want to contribute to the board, post a comment and I'll find you on Pinterest to give you access as a contributor.